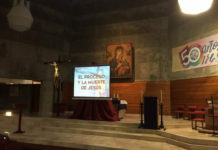 (Madrid, Spain) There was a presentation of the book on Sunday 23 December at 19:00, published by the Perpetual Help Editorial, “Tierra de tránsito, el Sábado Santo entre la muerte y la vida” (Land of transit, Holy Saturday between death and life) written by Fr. John de Taizé. 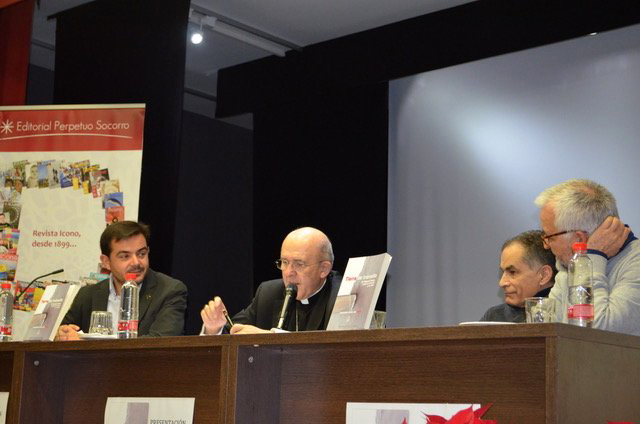 Apart from the author, José Miguel de Haro, Redemptorist and expert of Taizé, Cardinal Carlos Osoro, archbishop of Madrid and Francisco Javier Caballero, Redemptorist and the director of Perpetual Help Editorial were present. 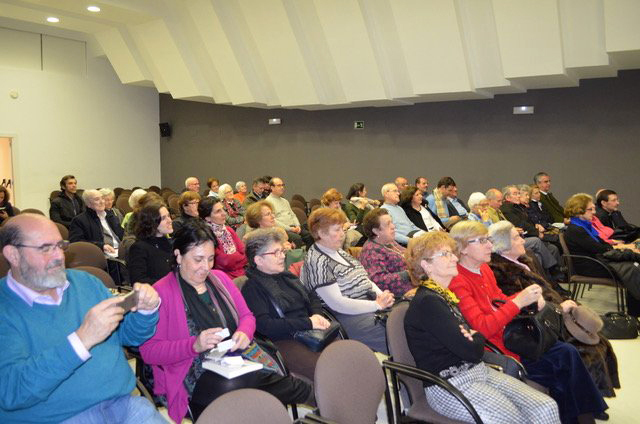 The auxiliary bishop of Madrid, Don José Cobo and the vicar of social pastoral care and innovation, Fr José Luis Segovia were also present in the audience. There was also a representation of the general government of the Oblate of the Most Holy Redeemer, as well as of other religious congregations and a big number of lay people. In the presentation, which lasted about an hour, the director of Editorial PS spoke, gave a short introduction of each of the speakers. Subsequently, José Miguel de Haro explained what the experience of Taizé means today and how to situate ourselves within the Catholic Church in an ecumenical dynamic. 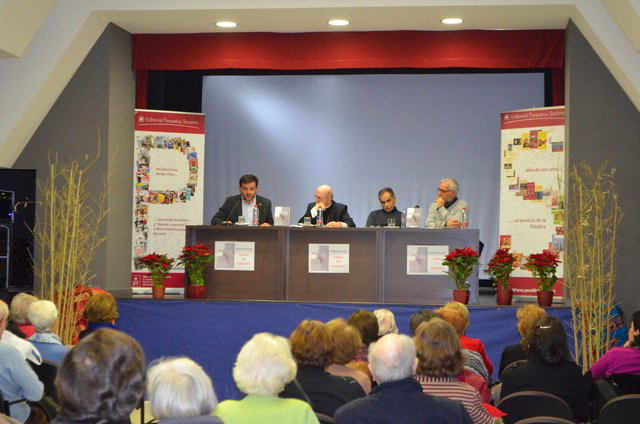 Subsequently, the archbishop of Madrid took to the floor and praised both the content of the book and the author. In his speech, he said: “This book is a treasure for the Church and touches the concrete and specific aspects of the Christian faith” also noted that “it brings light into this time of historical change that we are living in Christ who does not abandon us.” Moreover, he said that all the priests of his diocese should read this book. Then the cardinal said that the book was a four-time symphony, the first of which, “We are a people of hope,” in this regard said the angry ones do not serve to preach the Gospel. In the second half, he manifested the desire that leads us to “be supportive and silent”, citing Hans Urs von Balthasar. Silence and absence are a consequence of having experienced presence. The third time brings us to “Now is the time”, that is, to transcend the keys of the temporal space to access the true sources of life. Finally, in the “Void and in fullness”, he gave a brief summary of Christian eschatology as a way of conceiving ourselves in the life and history of humanity. 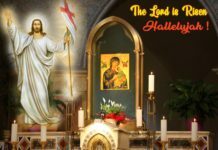 Brother John spoke of Holy Saturday as a key place to understand this moment of our life in the Church. 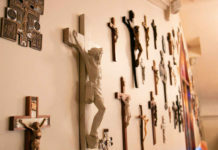 John indicated that the outskirts of which Pope Francis speaks is Holy Saturday. “The parish is the home of those who do not have a home”, this is why our presence is called to become this key, hopeful and welcoming towards the poor and the suffering. The Holy Spirit has not abandoned us and makes us perceive signs of hope and resurrection in our daily life. After some questions and references to the European Youth Meeting in Madrid, the program ended with sincere thanks from the editor of the PH Editorial.